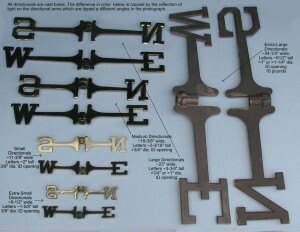 West Coast Weather Vanes offers different sized solid brass cast directionals (North, South, East, West arms). The size selected depends on the weathervane design and size. 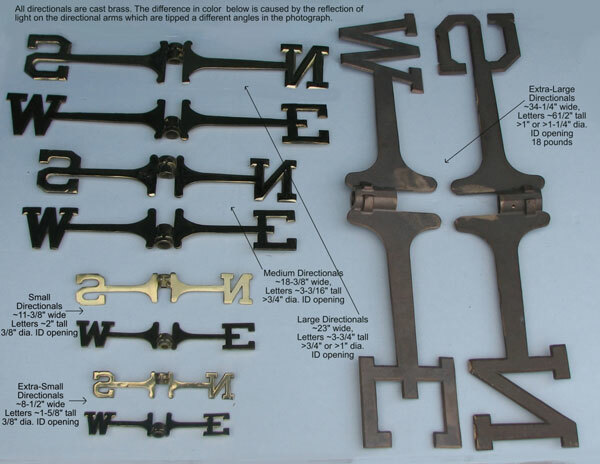 We can also make custom directionals to accompany your weathervane. However, they are typically quite time consuming to hand fabricate and will add to the cost of your order. The price will depend on the complexity of the design, fonts and size. If you have something special in mind, please give us a call to discuss your ideas.